Maybe the leaves haven’t turned yet, but this is a good time to start thinking about locking in some good-deal prices on your ski lift tickets for the coming winter. Lots of ski areas and passes offer “early bird” discounts and promotions, but they’re available to buy only through late September or mid-October. The first place to start is with the official website of your favorite ski destination. Winter prices are already posted for most of the big resorts, including quite a few early-purchase deals. But also check out the several larger online ticket sellers and regional passes. Liftopia is a big online agency that posts and sells reduced-price and discounted lift tickets at hundreds of ski centers around the world. It doesn’t have good prices for all of them, but it claims “discounts” up to 50 percent at some places, and it’s a good place to start looking for lift tickets that won’t break your budget. Currently, Liftopia is set up to sell tickets in all but 11 states (yes, you can find at least some skiing in Alabama), all of Canada, the main European centers, and Chile. Some resorts haven’t yet posted deals, but you can keep looking: The book should fill up soon. GetSkiTickets is another good place to look, covering the main centers in the U.S. and Canada. It also arranges lessons and equipment rentals. Regional passes are another option. The multi-resort champ is the “One Planet, One Pass,” which provides limited skiing at 30 different resorts in the West, East, Canada, and the Alps. The current price is $429 for adults, with the usual discounts for children and seniors, available through Monarch Mountain. 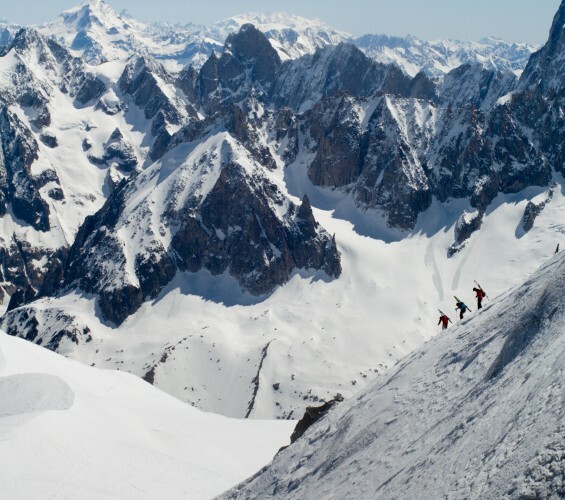 The Epic Pass comes highly recommended as a regional pass, covering unlimited skiing at a dozen top Western U.S. ski centers, plus five days at Niesko, Japan, and Verbier, Switzerland, and three days as Vallees, France. The price remains at $729; last year, it sold out before the Epic Pass press release arrived, but it’s still posted for this year. Epic Pass offers lots of other options, mainly in the U.S. West, along with special pricing for students, children, and families. In the Northeast, consider The New England Pass covering Sunday River, Sugarloaf, and Loon, with lots of options ranging from Bronze at $475 through October 15 for unlimited weekday and non-holiday access to Gold at $1,085 for all-season unlimited access, with discounts for youth and seniors, including a $30 Gold pass for “super-seniors” age 80 or over and special deals for college students. Students in New England should look at the Double Down Pass, covering Mt. Snow and Stratton, with unlimited access for skiers 18 to 26; no college ID required. Find The Best provides a really useful comparison of dozens of regional and single-resort season passes. For many, it also displays a calculation of the number of ski days required for you to break even buying a pass compared with individual day tickets. It also posts general information about each center. In my earlier ski column, I noted that Europe offers an intriguing alternative for North American skiers, especially those who live in the East. Many of the prime ski centers in Austria, France, and Switzerland offer regional passes, with some that include transportation between individual centers. A good place to start checking is On the Snow, which lists more than 30 pass options. Also take a look at air/ski packages offered my many North American and European airlines. Even if you’re just a casual skier, buying some access now will cut costs at least a little and, at some places, a lot. But don’t wait: Early-bird prices expire within three to six weeks.